That’s right – Dalen went to the slammer and raised money to help kids and adults break free from the harmful effects of muscle debilitating diseases. Did you know that muscular dystrophy, ALS and related disease take away everyday freedoms like walking, running, hugging and even breathing? That’s why I’m dedicating my time behind bars to help MDA fund ground-breaking research across diseases, provide critical care from the first day of diagnosis and empower families with services and support in hometowns across America. Thank you to everyone who helped by making a donation! With your support, we’ll move toward a future in which kids and adults with muscular dystrophy, ALS and related life-threatening diseases live longer and grow stronger. 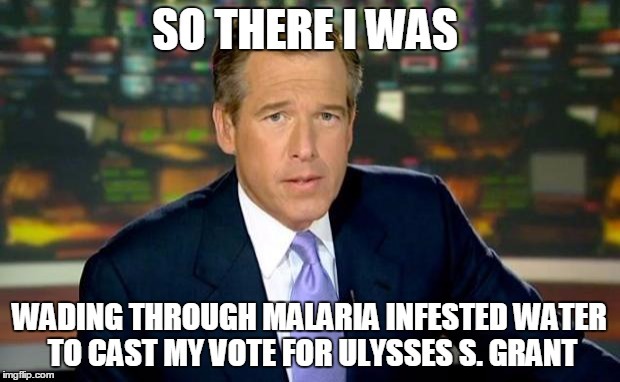 Remember when Brian Williams almost caught malaria while voting for Ulysses S. Grant? It’s that Important!! Tuesday June 28 is election day. Robert Frost said, “Thinking isn’t agreeing or disagreeing. That’s voting.” Don’t just think about voting. Don’t just talk about the problems we have. Educate yourself on the candidates, choose one that you believe will do the best job, and GO VOTE! JANELLE SHARP – Look her up on Facebook. SHARON VEACH – Look her up on Facebook. JERRY NILES – Look him up on Facebook. We’re Enid personal injury lawyers, probate lawyers, and divorce lawyers. We’re also dads, moms, husbands, wives, coaches, and volunteers. Take pride in your right to vote. Post a pic of your “I voted” sticker and we may give some swag away! We have all heard stories about people being asked to pay their ticket right there in the trooper’s car, but it does not seem to have happened to anyone directly. Maybe that is because the highway patrol did not have card readers….until now. The Oklahoma Department of Public Safety has contracted with a business to allow troopers to transfer money from many types of pre-paid cards. Of course, this is not to pay your ticket, but is being done to as part of seizing assets thought to be used in drug trafficking. The people from whom the money is taken haven not been convicted of a crime, have not pled guilty to a crime, heck, they may not ever be charged with a crime. Still, the trooper on the side of the road using his “training and experience” determined these funds are for nefarious purposes, and so the money is taken. 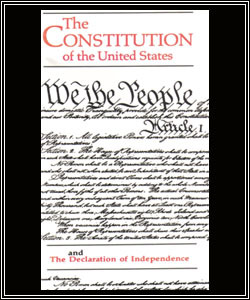 No judge, no jury, no attorney, no due process, just one person’s belief. When a person’s assets are seized, the person has the obligation to prove their own assets were legitimate. The State does not have to prove the money bought or paid for drugs. The state does not have to do anything really other than file some paperwork formalities. Only after the State files the forfeiture paperwork, are they required to inform the person they intend to keep the money they already took. Then, the citizen has the obligation to come to court and prove why they should get their money back. Now, we have corporations getting up front fees, and ongoing royalties on money “collected” by the State. Oklahoma citizens are accustomed to royalty payments. We like our oil, gas, wind, and other natural resource royalty payments coming in the mail. However, paying a royalty to an out-of-state corporation who sells widgets to help steal from citizens should be pretty offensive to us. Certainly, seizing funds associated with drug trafficking may help stem the flow of drugs, although it doesn’t seem to have slowed anything down. However, the incentive to fund an agency is so strong it often takes priority of citizens’ rights. If you’ve had money taken in Enid, Fairview, Woodward, or anywhere else in Northwest Oklahoma, remember we are Enid lawyers, with offices in Fairview, and Laverne, that can help. The team at Ewbank, Hennigh & McVay could not be more proud of our fellow partner, Andrew Ewbank, for winning the Journal Record’s Achievers Under 40 award! 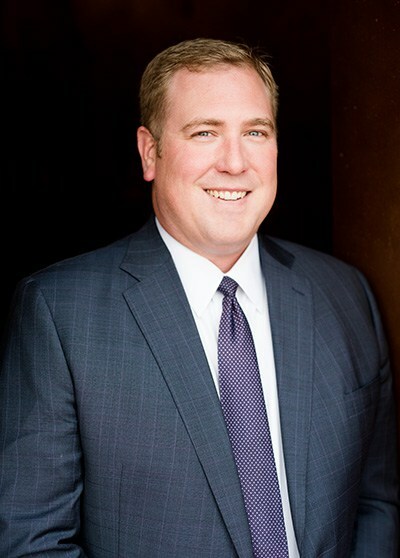 When we think of Andrew, we certainly think of his talent as a personal injury attorney and divorce lawyer. We also think how he fosters the utmost quality and character in his daily life. This is often demonstrated by his drive in helping build an incredible law practice here in Enid, Oklahoma as well as his desire to be better to those around him. You can see this from his past work of representing impoverished and abused children, his participation on numerous boards throughout his community, and his belief that people should always strive to learn and grow. Congratulations, Andrew. You are incredibly deserving of this award! Equifax Security Breach – Are You Affected? Small Claims Is Where It’s At! © Copyright 2014. Designed By hollygannett Enid, Oklahoma.